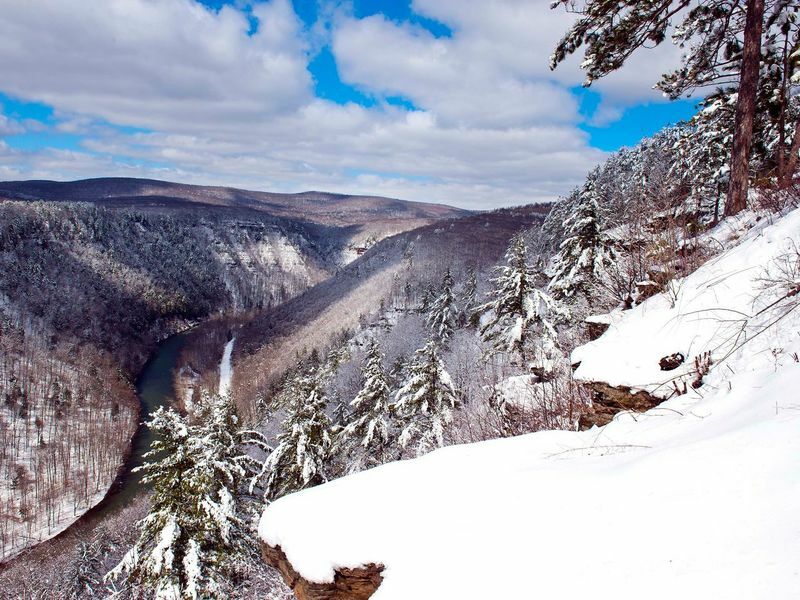 Pine Creek Gorge, commonly referred to as the Grand Canyon of Pennsylvania is surrounded by approximately 165,000 acres of the Tioga State Forest. The Canyon begins south of Ansonia along US Route 6 and continues for approximately 47 miles. The maximum depth of the canyon is 1,450 feet at Waterville, near the southern end. At Leonard Harrison and Colton Point State Parks, the depth is more than 800 feet. These overlooks offer the most spectacular views. 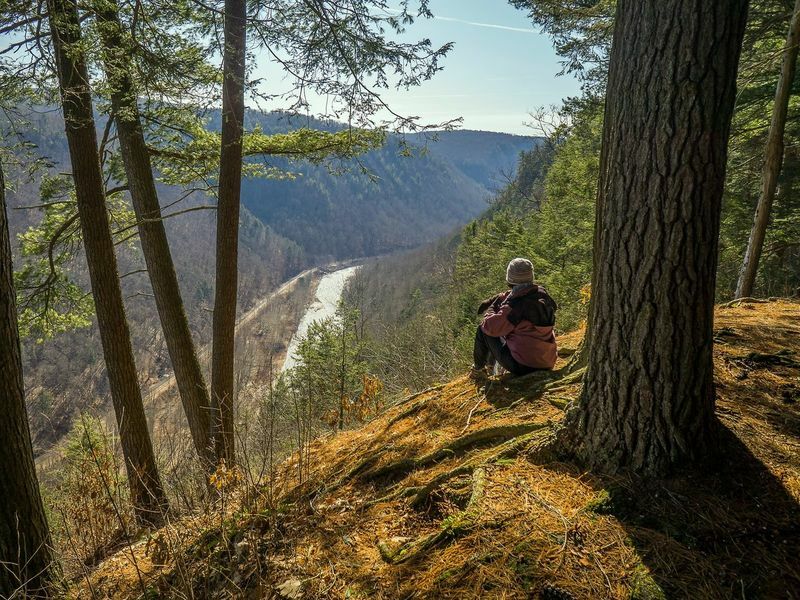 Pine Creek Gorge received national acclaim in 1968 when the National Park Service designated a 12-mile section as a National Natural Landmark. Be sure to check for various, seasonal, educational and interpretive programs. Leonard Harrison and Colton Point State Parks are on opposite sides of Pine Creek Gorge, called the Grand Canyon of Pennsylvania. Many scenic vistas offer spectacular views into the glacially-carved canyon. The scenery at these parks is superb in every season of the year and is especially stunning in late September through mid-October. The large abundance of deciduous hardwood trees displays beautiful autumn shades of yellow, orange, red and purple. Pockets of evergreen trees provide a dash of green year-round. The "Grand Canyon of Pennsylvania" begins just south of Ansonia, along US 6 and continues south for about 47 miles. At its deepest point, Pine Creek Gorge is 1,450 feet deep and nearly one mile wide. At Leonard Harrison and Colton Point State Parks, the depth of the canyon is about 800 feet and these parks have the most spectacular scenic overlooks. 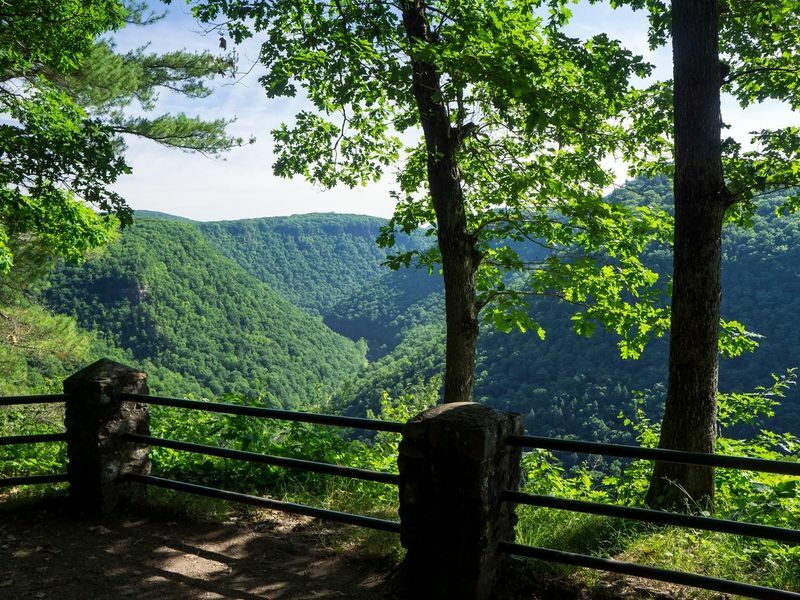 This area received national acclaim in 1968 when a 12-mile section of Pine Creek Gorge was designated as a National Natural Landmark by the National Park Service. 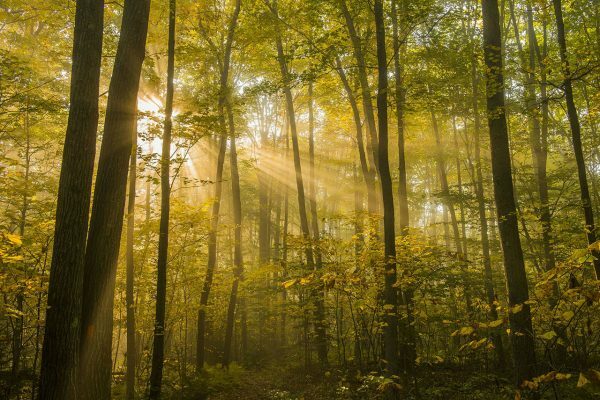 Learn more about our local hiking trails. Hiking the Turkey Path from Leonard Harrison State Park will wind you past waterfalls and areas of beautiful scenery. The Trail steeply descends one mile to the Canyon floor. The Overlook Trail, a .6-mile loop, offers a scenic vista along the way. Picnic areas, playground, a seasonal, visitor center and gift shop are also available for your enjoyment. Colton Point State Park features the rustic charm of the Civilian Conservation Corps (CCC) era of the 1930s. The Park also highlights 4 miles of hiking trails including the Turkey Path Trail. This very narrow trail steeply descends to the floor of the Canyon and does not allow access across Pine Creek to the other side of the Gorge. Many more miles of trails are accessible through the Tioga State Forest, adjacent to the park. 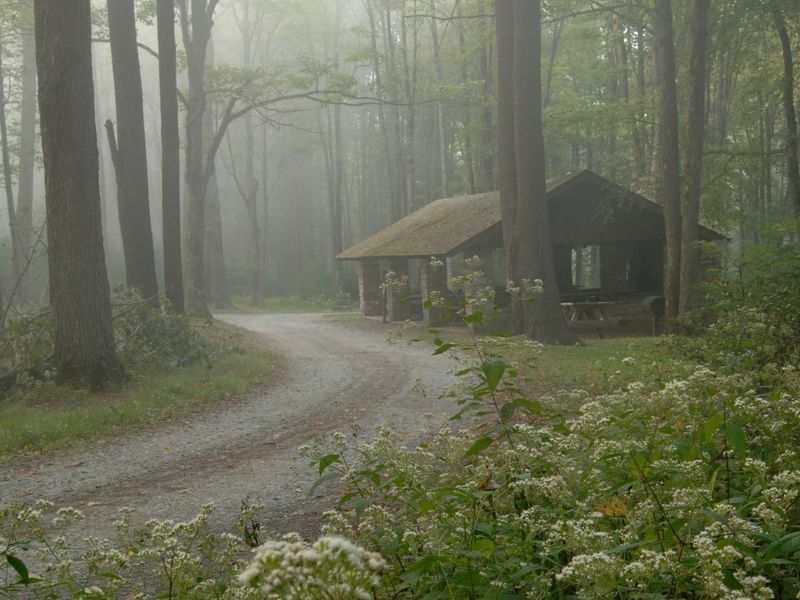 Camping is open from April through October with sites ranging from rustic tenting, to some with electric and sanitary stations. Organized group tenting is also available. Tioga State Forest offers approximately 177 miles of snowmobile trails. Registered snowmobiles may use the network on state forest daily after the close of deer season. There are no ATV trails.